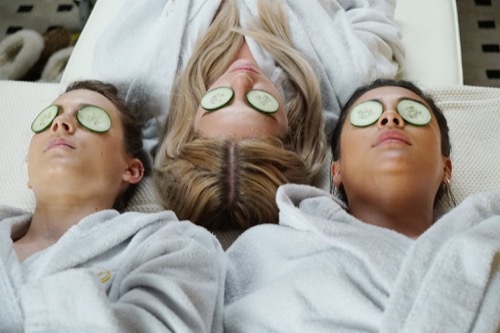 Pretty Little Liars returns to ABC Family tonight with an all new Tuesday February 2, season 6 Episode 14 called “New Guys, New Lies,” and we have your recap and spoilers below. On tonight’s episode, Hanna (Ashley Benson) makes a confession to her friends in hopes of clearing her name with the police. Meanwhile, Aria (Lucy Hale) and Emily (Shay Mitchell) seek out the truth about Ezra (Ian Harding). On the last episode, Aria, Emily, Hanna and Spencer found themselves back in familiar territory with the Rosewood P.D. knocking at their doors looking for answers and their actions now affecting the loved ones around them. With her mother’s job on the line, Hanna tried to come up with an alibi that could save all four of them with the help of her old high school friend, Lucas. Did you watch the last episode? If you missed it, we have a full and detailed recap right here for you. The season 6 episode 14 of PRETTY LITTLE LIARS is going to be really exciting and we’ll be recapping it for you right here. Tonight’s episode of Pretty Little Liars kicks off with Spencer waking up in bed – next to Toby. She slips out of bed and gets dressed without waking him up. Spencer checks her phone and has dozens of texts from Emily, Aria, and Hanna. She reads the message from the new “A” and then rushes to meet up with her friends. The liars are convinced that their new stalker is Sara Harvey. Hanna seems to be in denial – she texts the number back and asks “Do I know you?” The stalker replies, “yes.” Emily calls Allison to see where she is, they think she may be the stalker since it is definitely someone that they know. Allison says that she is on a Dairy Tour hours away with Dr. Rollins. While they are talking, the news comes on in the hotel bar – Lorenzo comes on the news and announces that they have found the murder weapon. Afterwards, they all get a message from the unknown number – it’s a picture of a golf club. While they are getting ready to leave the hotel, they spot Aria’s dad Byron sneaking in to the elevator and up to a hotel room. Aria rushes to the Brew to talk to Ezra about his book, the waitress on duty says that Ezra left town. She says that he disappears all of the time when he is depressed, and she is sure that he will be back in a few days. Aria tries to get the keys to Ezra’s apartment and says she wants to pick up a chapter of his book – but she refuses to give her the key. Back at Spencer’s house – she and Caleb are going through the “Phillips File,” she is campaigning against Spencer’s mom in the Senate. There are even photos of Phillips’ kids. Caleb says that he is going to take a drive to see Toby – Spencer says she’s totally cool with that. Caleb is obviously feeling a bit awkward now that they have slept together, but Spencer keeps brushing him off. Hanna heads back to Lucas’s loft to videochat with her fiancé Jordan, he had to leave town for work – but Hanna will be meeting him at the airport soon. After the call, Emily quizzes Hanna about her engagement. She wants to know why they haven’t set a wedding date. Hanna says that she is ready now she has closure from Caleb – and he is moving on with Spencer. Before they set a date, Hanna wants to come clean to Jordan and her Mom and tell the truth about deleting the security footage. Caleb heads to Toby’s – where he is building his girlfriend Yvonne a house. It turns out that Yvonne’s last name is Phillips – and she is the daughter of Veronica Hastings’ competition. After Yvonne leaves, Toby asks Caleb if he has been seeing any one. Caleb gets uncomfortable, and finally spills the beans and admits that he is “seeing Spencer.” Toby is obviously not happy – but he tries to cover up that it bothers him. Aria is having a meltdown because she can’t find Ezra. She calls Emily for help, she has called all of Ezra’s friends and family and nobody knows where he is. She asks Emily to keep the waitress Sabrina busy while she steals the key to Ezra’s apartment. Emily whines that she doesn’t want to get involved – but Aria wants to break in to Ezra’s house and see if any of his golf clubs are missing. Emily gives in and goes to the Brew to have coffee with Sabrina and distract her so that she can sneak in to Ezra’s apartment. Meanwhile, Hanna meets up with her mom and comes clean about deleting the security footage. Ashley freaks out on her, they are going to get caught – she reveals that the security tapes were backed up and once Lorenzo realizes she deleted Aria and Ezra, it is only going to make them all look more guilty. Spencer arrives at the hotel and is getting ready for the debate – she will be going up against Toby’s new girlfriend Yvonne Phillips. Across the room she sees Toby pacing back and forth and looking at an engagement ring, and is clearly bothered by it. Hanna comes clean to Jordan and confesses that she tampered with the security video footage – she doesn’t want them to have any secrets. Jordan takes it well, and reassures Hanna that everyone makes mistakes. He even calls his dad to get Hanna a lawyer. Spencer shows up at Toby’s house to talk to him – things are awkward because he knows that she saw that engagement ring for Yvonne. Spencer tries to remind him that they are supposed to be friends. Toby scoffs “it’s easier to be friends with you when you are in DC.” Spencer tries to apologize for her and Caleb, but Toby doesn’t want to hear it. He is packing to go on a camping trip and clear his mind. Spencer has Caleb working on the new stalker – he is trying to trace the texts to see where they are coming from. Meanwhile, Emily is trying to sneak the key to Ezra’s apartment back in to the Brew and Sabrina catches her. She knows Emily and Aria were in the loft. Hanna, Jordan, and her new lawyer head to the police station so Lorenzo can question her about the security tape. When they arrive, Hanna catches a lucky break – apparently the security company lost the back-up of the video, so she is off the hook. Aria frantically starts searching through her fathers golf clubs in the trunk of his car and realizes that one is missing. Meanwhile, Ashley Marin arrives home from work and pours herself a glass of wine – she has the backup security footage in her purse, apparently it was an accident that the company lost them. The next day Spencer and Yvonne have their debate at that hotel. Ashley sneaks upstairs to look through her mom’s computer and see if Ezra or Byron have checked in to the hotel – neither of their names are in the computer system. The campaign event is over, and Spencer has another awkward run-in with Toby, she reassures him that as soon as the campaign is over she and Caleb are leaving town. None of the liars notice the creepy bell man lurking in the hotel that is obviously wearing a mask. He leaves in a black town car and takes the mask off and sets it on the seat next to him as he is driving off – we don’t see his face.